Check out Tobi's Wild Times Plunging Bodysuit Yup, this top will help get the party started. Top off all your skirts and pants with the beautiful Wild Times Mocha Multi Plunging Bodysuit. 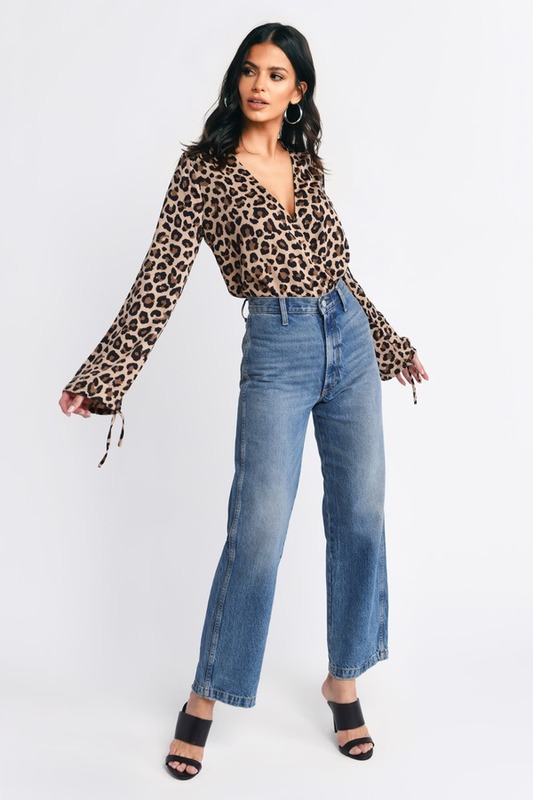 This animal print bodysuit features long relaxed sleeves, plunging neckline, and pretty leopard print to help channel your wild side. This plunging leopard bodysuit will look perf with a black high waisted denim skirt and booties. Yup, this top will help get the party started. Top off all your skirts and pants with the beautiful Wild Times Mocha Multi Plunging Bodysuit. 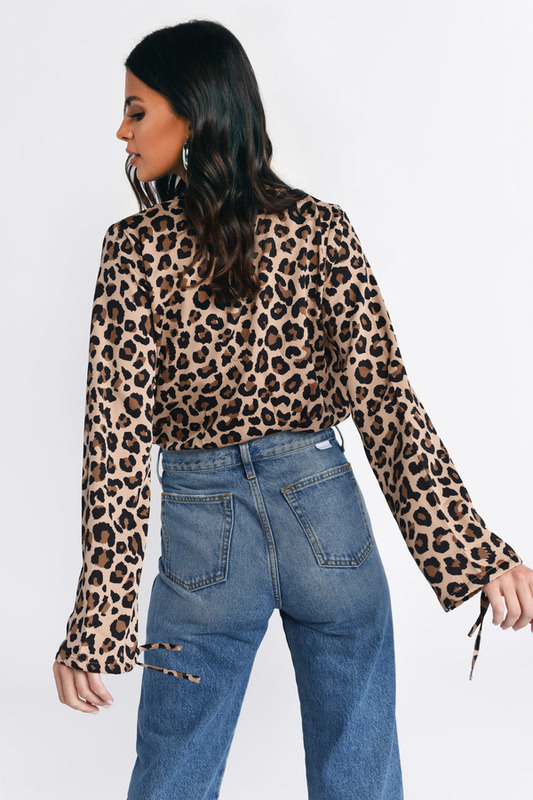 This animal print bodysuit features long relaxed sleeves, plunging neckline, and pretty leopard print to help channel your wild side. This plunging leopard bodysuit will look perf with a black high waisted denim skirt and booties.